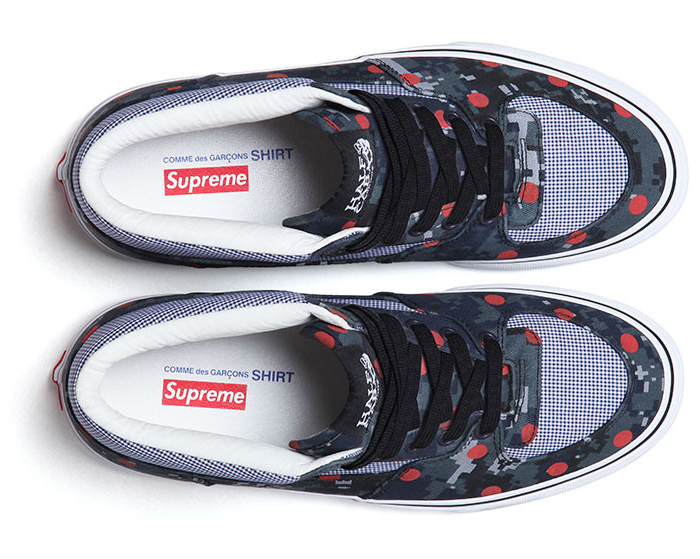 The much loved three way between Supreme, COMME des GARÇONS SHIRT and Vans will be dropping their second collaborative pack this Thursday, including the Half Cab and Era. Having first joined forces in some kind of super-group in March 2012, it instantly became a super hype project and has remained one ever since. 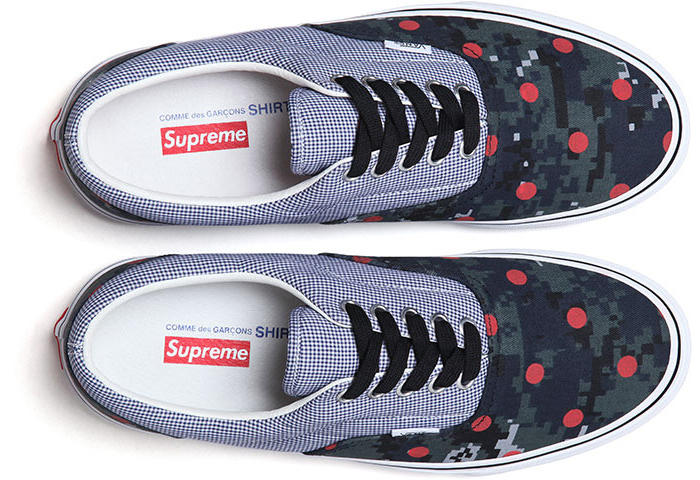 This season saw the continued use of polkadots while incorporating digital camouflage as well. It’s a pattern mish-mash that works superbly. 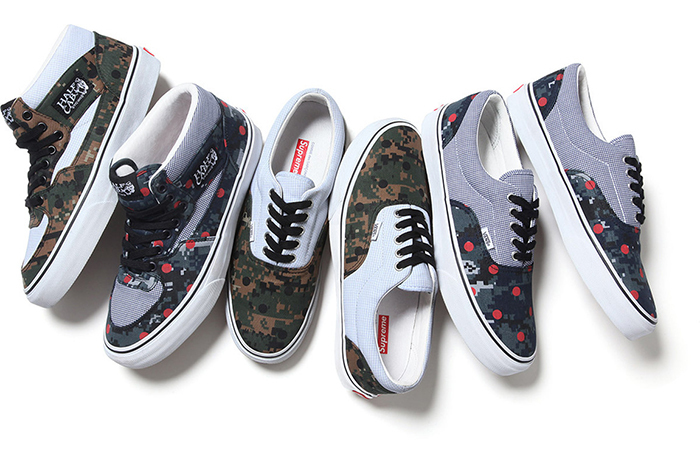 Finally, we see the arrival of the Vans pack from this season’s collection, including two of their most iconic and acclaimed models; the Half Cab and the Era. 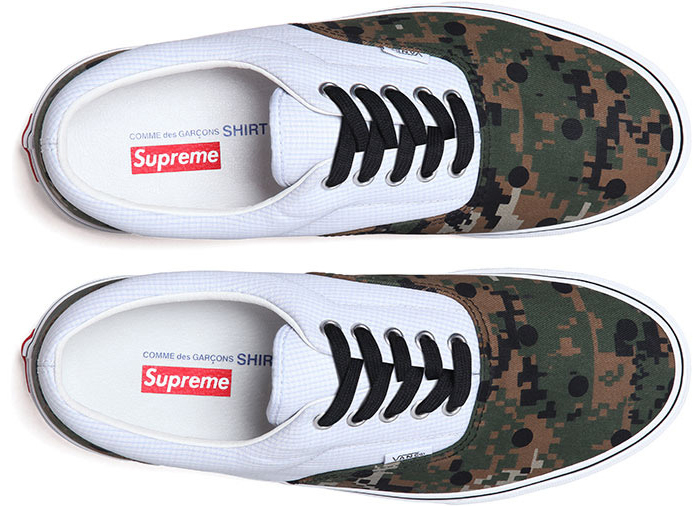 The pack drops this Thursday, 27th June, at the Supreme London store and Dover Street Market. 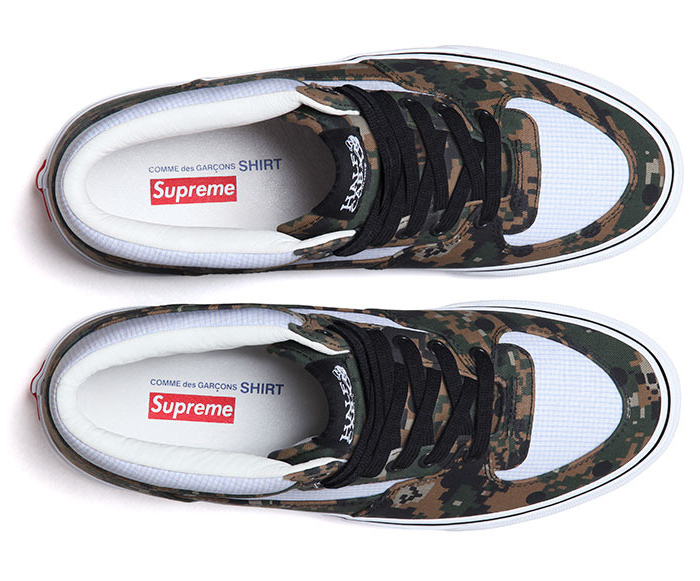 They will also be available online from DSM on the 27th. Expect them to vanish as soon as they hit the shelves.